As tens of thousands of Central American refugees, many of them children, seek asylum in the U.S., it’s important to look back into the not-so-distant past to try and grasp the complex political, economic, and religious causes that have led to today’s crisis. 35 years ago, as El Salvador was plunging into Civil War, one man, Archbishop Oscar Romero, became the “voice of the voiceless” and stood up publically for the rights of the poor and dispossessed in his country. His commitment to follow Jesus’ example was so threatening to the powers that be that he was assassinated. These powers are still at work in Central America — as they are in any setting where power and money are the primary motivating factors. 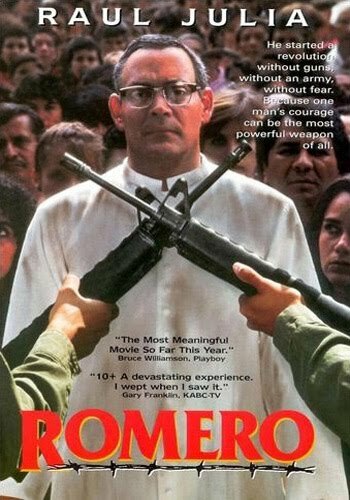 If you’re interested in exploring some of the roots of our immigration crisis and understanding the complex realities of what following Jesus can lead to in a contemporary setting, mark your calendar to view “Romero” with us on the big screen in the sanctuary. A brief discussion will follow the screening. Bring a lunch and meet in the Sanctuary at 11am. Drinks will be provided.